Remember when you attached yourself officially to a bias and then began to scour the internet for anything about him (or her)? I have not even scratched the surface of all that is out there on this charming guy, but I am certainly grateful that I have not broken my internet yet with all of the research I have been doing these past 121 days. 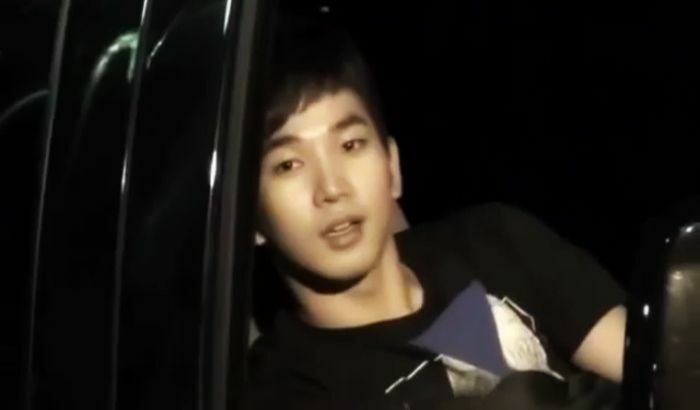 That said, I remember coming across this particular fan cam (oh, I am adding another subtitle segment called “Fan-Camming” and this is my first post for that sub) and was immediately held captive by G.O’s endearing fan service. He really knows how to knock that I-know-how-to-connect-with-my-fans out of the ballpark, doesn’t he? Sheesh!!!! It wasn’t until I had the opportunity to experience this kind of patient, connect-with-you, genuine graciousness myself that I truly realized how different and special G.O was not only as an artist, but as a man. According to the uploader of this video, it was shot on September 10, 2012 after recording Immortal Song 2. Categories: G.O Military Discharge, MBLAQ Musings, The G.O Files | Tags: G.O, G.O images, G.O on Immortal Song 2, G.O's Fan Service, G.O's Military Service, Jung Byung Hee, Jung Byung Hee images, Korean Reality Television, Korean Singing Competition Shows, Korean Variety, Korean Variety Shows, MBLAQ Fan Cams, MBLAQ G.O, MBLAQ G.O Fan Cam, MBLAQ G.O images | Permalink. He looked a little tired there in the van. But still went out of his way to interact with the fans. I think because he Truly Appreciates that they are There for Him.